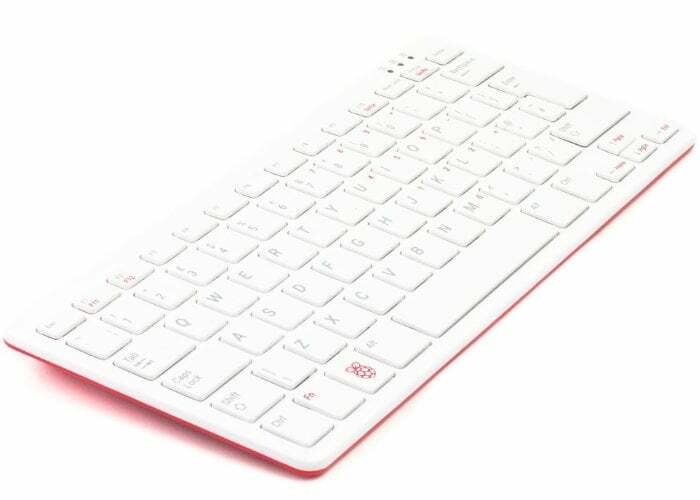 The Raspberry Pi Foundation has recently come up with official Raspberry Pi keyboard which is priced at only £15 and equipped with a 3x USB 2.0 type A ports for connecting other peripherals. The keyboard measures 285 x 120 x 22 mm and in the UK offers a 79-British layout with automatic keyboard tracking and USB type A to micro USB type B cable for connection. Offers compatibility with all Raspberry Pi products. The only thing missing about as a Raspberry Pi mini PC. In a project published on the Pimoroni blog, Sandy Macdonald reveals how this can be solved by changing the keyboard to insert a Raspberry Pi Zero inside. "Our plan, as with most of these hacks, was to leave the keyboard as close to normal outward, so the idea was to connect the host micro-B port on the keyboard/hub PCB to the USB port on the Pi, and power (5V and ground ) from the host micro-B port of Pi's GPIO to power it, which would mean that all you need to do is to connect a power supply to the micro-B port on the keyboard, and Pi would be powered and connected keyboard, with minimum messy wires outside the keyboard. " So what do you think about this gadget? Comment down below!